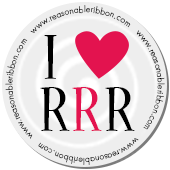 Hello everyone, Cheryl here with a Happy Halloween Banner designed for Really Reasonable Ribbon. ***I really enjoyed making this banner, and now need to find a spot in my home to hang it for Halloween. I tried to do a few close ups, this one shows the ribbons used, and I also used Creative Inspirations Paints on the flower, I used Deliquesce Gold Crystal from CIP's as well on the Spiders. All the Tags in this Banner are from DCWV's Halloween Banner Kit. Now I didnt use everything in this kit, there are still a lot of banners and such left to make another one of these. I also added some Big BLINGY BUGS, they are CHARMS and I added them to the bows at the top of 2 of the tags. I want to thank you for stopping by and have a wonderful Day!!! You are the ribbon queen. This is great. This is AMAZING!! Love this banner and all the fun and festive details. Fabulous job!